Nestled in the southern part of China, Chishui offers a breathtaking view of the landscape. The rolling hills of the terrain are lush with bamboo, so much so that it almost looks like a bamboo sea. Bamboo is an exceptional plant that offers climate smart benefits and is useful for creating a myriad range of products which in turn help in the sustainable development of the economy. Lately, the bamboo sector in Chishui has been expanding due to a number of factors including the support of the government, adoption of optimal management and utilisation practices and greater innovation. Originally set up in 2012 in Sichuan, the bamboo furniture making unit moved to its base to Chishui in August of 2015. Regular production of furniture started from the month of October in 2015. The business model employed by the unit encompasses a range of activities which support each of the processes, while also being co-dependent on each other. Using a 200 hectare land area to grow bamboo, the company also has approximately 2 hectares set aside for byproducts like shoots and fungus. Producing Moso bamboo, the average yield for 1 hectare of land is about 15 tons of Moso bamboo poles. 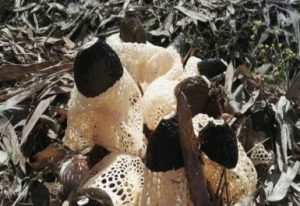 On the 2 hectares of land set aside for byproducts 2 kinds of bamboo fungus are grown which have an attractive price point in the market. While the poles of Moso bamboo are used directly for the purpose of creating furniture, the branches and the pole tips are used for creating bamboo brooms and for bamboo charcoal. 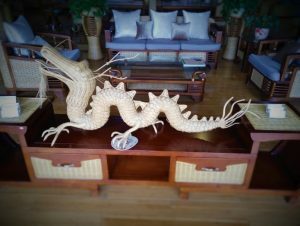 The unused bamboo left behind from making furniture is used for a number of purposes. While the powder is used for making charcoal, incense sticks and as a seedbed for fungus growth, the bamboo poles base on the other hand are used to power the boilers. This ensures that 100 percent of the bamboo is utilized and there is no wastage. 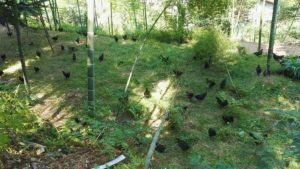 Poultry farming is also practiced on the land used for growing Moso bamboo. Approximately 30,000 regular and black boned chickens or Silkies are being raised on the land here. 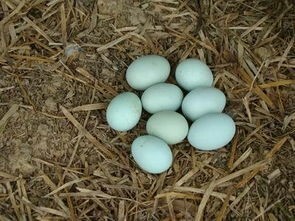 Raising chicken on this land offers a number of benefits – the chicken consume the weed as food, the droppings help for adding natural fertilizer which in turn supports a healthy crop and finally the chicken also lays eggs which are sold separately. From bamboo poles for furniture, to bamboo charcoal and brooms from pole tips and branches, along with several byproducts like fungus and eggs, this innovative approach by the furniture making enterprise ensures optimal utilization and growth of return on investment. Employing more than 60 people at its furniture making unit the company also supports more than 10,000 farmers that form a part of this incredible value chain. The output for the furniture making unit, which focuses only on creation of furniture and other home décor items was pegged at 20 million RMB. While the yield from byproducts in the bamboo forest (fung us, chickens and eggs) averaged around 10 million RMB. This also played a key role in strengthening the financial opportunities of the farmers involved in this value chain and improved the average earnings bringing it in the range of 3,500-5,000 RMB per month per person. The furniture unit is also collaborating with the Sichuan Arts Academy, to create bamboo lamps and souvenirs for tourists. 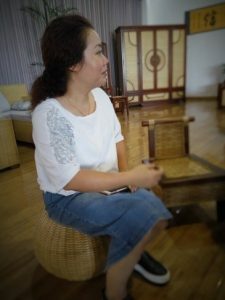 Charting an innovative path through this unit, Mrs. Zhou Rong is hopeful that with the increased participation of the local populace the bamboo sector development in Chishui is set to get stronger. This 360 degree approach is indicative of how bamboo can support the local economy while also offering opportunities to enhance the yield in form of a number of other products. 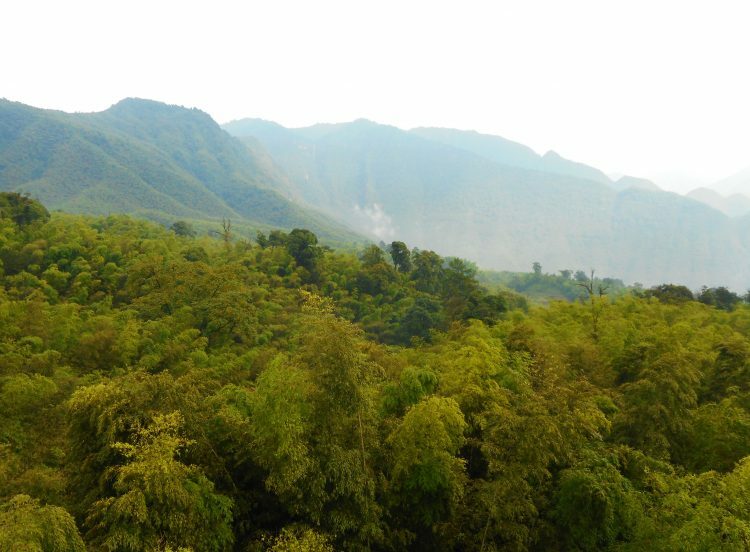 Over the next few years, the bamboo sector in Chishui could become a shining example of the potentials and possibilities this remarkable plant offers.